Ever been to a holiday destination that you considered a steal? 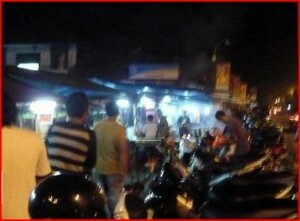 I did when I went to Bali, one of Asia best holiday destinations. I stayed at one of the best holiday resort, a romantic, idyllic spot for a honeymoon or relaxing holidays for couples. We stayed at The Breeze resort at Seminyak for a week. 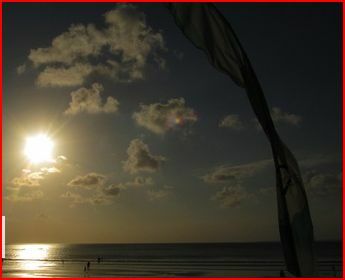 Seminyak is more renowned for its romantic, luxury and quiet beaches. Then we moved to another hotel called The Oasis in Kuta and stayed there for another week to experience a different kind of ‘holiday experience’. This hotel has more Australian than other foreigners and locals put together. They even have a big TV screen so that you don’t miss your favourite Australian footy or rugby match. Bali is small in size, compared to Thailand. You can drive around the entire coast in one long day. However we didn’t get a car or motorbike as most would. If you are inclining to visit places, it would be advisable to do so. You will get to see more places and will costs you less compared to using taxi. If you are a traveller who like the comfort of the air conditioner, (just like me) use a taxi. mind. It is a tropical country after all. Other images are flowers on a frangipani tree, rice terraces, pulse-pounding surf, enchanting temple ceremonies, mesmerising dance performances and not forgetting the lovely beaches. 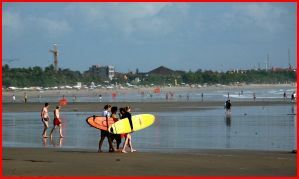 Everyone must have heard of the town called Kuta especially the Australian, who would consider Kuta as one of the best places for holidays (Second Home). Kuta in everyone’s mind is the place where many Australians died whilst on holiday there. One must not forget to visit the memorial erected in the centre of Kuta to make the many holiday makers form all over the world who died there as a result of the Bali bombing. 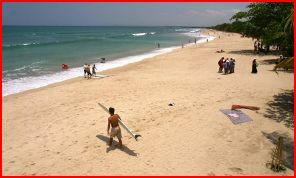 However, Kuta is also known for its bustling, vibrant and exotic atmosphere. istic culture and not forgetting the treks amid the volcanoes. Mellow beach towns like Amed, Lovina and Pemuteran can be found right round the coast and just offshore is the laid-back idyll of Nusa Lembongan. I stumbled upon many exquisite little offerings, tiny tapestry of colours and textures, left all over the island. Walking along the roadside, I carefully step over them just incase I offend their Gods. That is another powerful image of what I consider as ‘Bali aside from the friendly people, young and old. I consider the Baliness to be one of the friendliest people in the world.
. The prices they charged are out of this world. Too cheap!! Virtually, you can have a massage in one of these shops and it won’t set you back at all. And you can still shop till you drop. 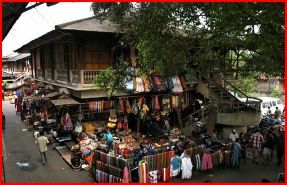 You just cannot say you have been to Bali till you have shopped there. 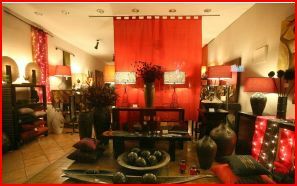 I would consider this place has cheap and beautiful things, services and too many choices as well. Food and drink ranging from the freshest local cuisine in the markets and the food court in most shopping centres (air-conditioned) to food from around the globe, often prepared by chefs and served in restaurants that are world class. 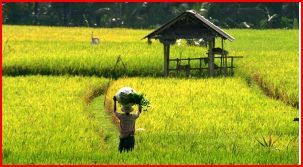 Images of my Bali will stay in my mind forever and l looked forward to going back there especially for rest and relaxation.